June 10, 2018 – Updated answers for all levels. Wordscapes Uncrossed is the sequel to popular crossword puzzle game, Wordscapes. There are more than 3000 puzzles to prove and build your word skills and vocabulary. 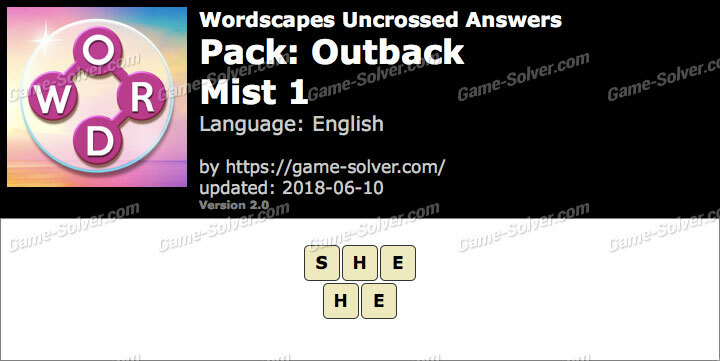 These are the Answers for Wordscapes Uncrossed Outback-Mist 1 with Cheats, Solutions for iPhone, iPad, iPod Touch, Android, and other devices with screenshots for you to solve the levels easier. This game is developed by PeopleFun, Inc.